Maxine is a wonderful playful girl looking for a fun family to join. Maxine just loves everyone and every dog she's met however her playful energetic personality may be too much for some dogs. If you have a dog at home please bring them in to meet Maxine to make sure they are happy for this bouncy playful girl to join their family. Maxine can already sit on command so with your help she may be able to learn some more doggie manners. 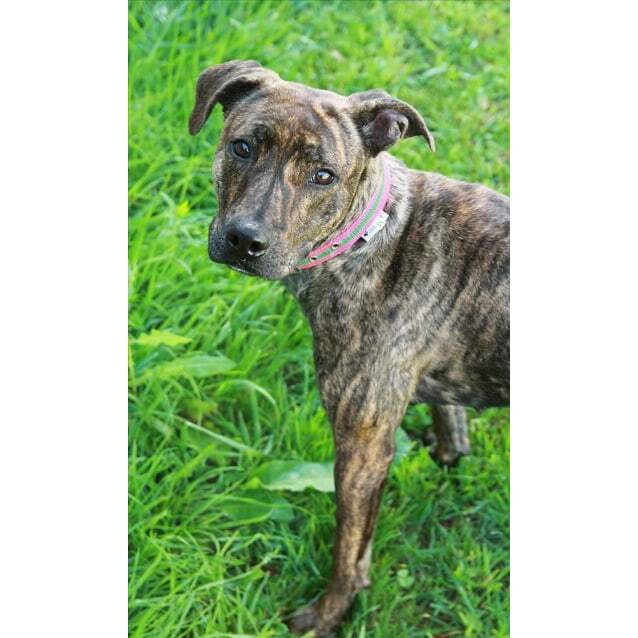 Are you the fun loving family Maxine is hoping for?